Fillers and Botox! Can I be like Peter Pan? There has been an overwhelming increase in men and women turning to Botox due to their pursuit of eternal youth. The latest craze involves groups of friends getting together for Botox parties whilst they enjoy cocktails and caviar. Far from achieving the ‘Peter Pan Effect’, it can actually lead to something much more serious and damaging in the long term. In October 2010 the Care Quality Commission deregulated the use of botox and injectable fillers in England. Since then we have seen manufacturers and suppliers go into salons, mobile businesses, home parties, dentists, tattooists and even opticians. What is good enough for celebrities, is now good enough (and cheaper) for us ‘mere mortals’. This is not the case in the Republic of Ireland. The Health Products Regulatory Authority in Ireland continue to regulate botox and injectable fillers. 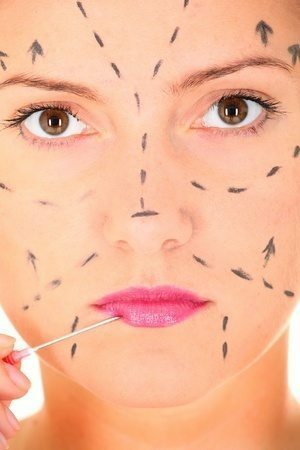 Despite this we have found therapists who administer botox treatments without any authorisation to do so. After a few minutes on social media it doesn’t take long to see a tweet or post that shows the detrimental effects of botox on people in the public eye. Over the years we have been approached by many doctors and nurses who want to offer botox and/or injectable fillers at our clinic. We have always refused to accommodate the idea, despite the fact that the treatment is extremely popular and practised in the UK. Is botox the best solution? An individual’s skin composition can vary in firmness, plumpness and/or tone depending on several factors. Including the time of day, state of mind, time of month and relation or tiredness levels. Although, this is not thought about when attending their next session after filler removal naturally occurs from the body. After many sessions, the chemical injection may increase considerably and stretching of the skin has gone past a point where its elasticity is a lot worse. It quickly becomes evident that the collagen and elastin production in the skin is diminishing, and this is more obvious as ageing occurs. The main reason this happens is that the fillers used are not natural, and some actually contain toxins! When skin injections occur, they cause further stretching of the skin to achieve the most desirable outcome. Far from achieving the ‘Peter Pan Effect’, Botox can lead to serious and damaging consequences in the long run. Why Doesn’t Clear Medical Do Botox? The refferal of many clients post Botox procedure, consistently complaining their skin is in a worse condition than before is shocking. The reason that Clear Medical does not offer botox or injectable fillers is that the long term effects of these treatments are contrary to our ethos. Our primary concern is the long term health, happiness and well-being of our clients. We do not believe in short term fixes, and are always aiming for the best aesthetic outcome for everyone. It is for this reason that we do not include botox or injectable fillers on our list of treatments; we will always recommend natural, safe and scientifically tested treatments to our clients. Previous post: Stress Can Be Good?